The OVO x Air Jordan 10 "Black" is the next colorway to debut at retailers from OVO's partnership with Jordan Brand. The sneaker features an all-black stingray leather on the upper and mudguard with a scotch grain leather paneling along the tongue and upper outsole ridge. 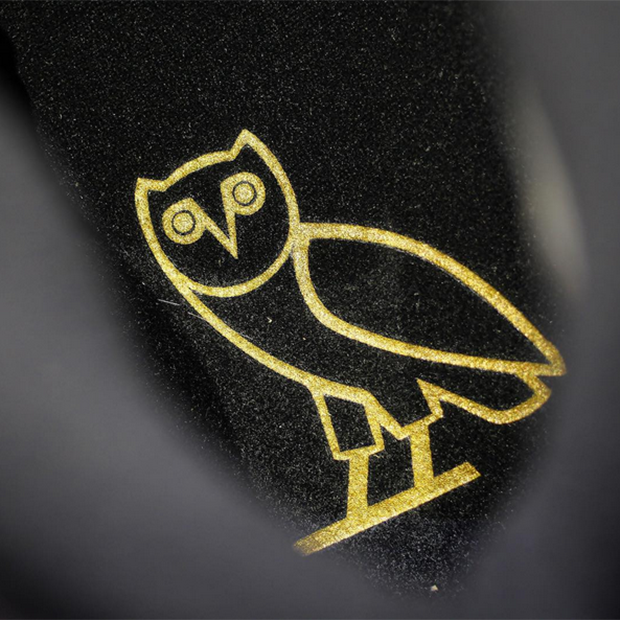 The signature "Metallic Gold" accents the "OVO" owl emblem on the insoles and Jumpman logo on the heel. 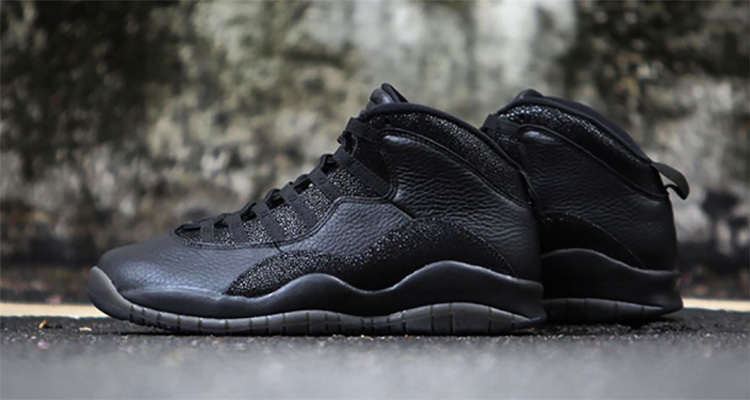 The OVO x Air Jordan 10 "Black" is expected to release during All Star Weekend this month (February 13th, 2016). Retail will be $225. Stay tuned with SneakerShouts to find out where you can grab a pair. Now Available: adidas YEEZY 700 "Analog"
Now Available: adidas Yeezy Desert Boot "Oil"
Now Available: Nike SB Dunk High "Dog Walker"
Now Available: Nike Kyrie 5 "UFO"
Now Available: Versace Chainpreme Runner "Black Gum"